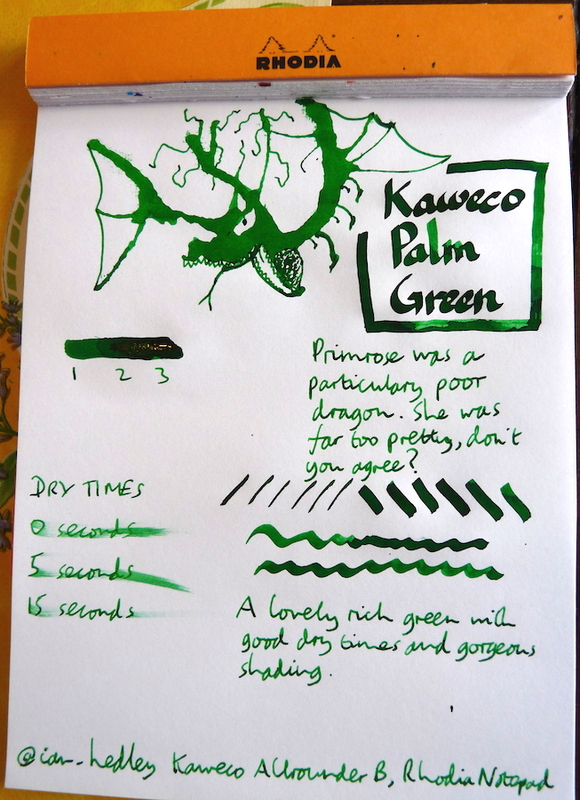 Kaweco Palm Green ink review – Pens! Paper! Pencils! This is a lovely lush green with delicious shading and excellent dry times. Here I am doodling the Inkling. 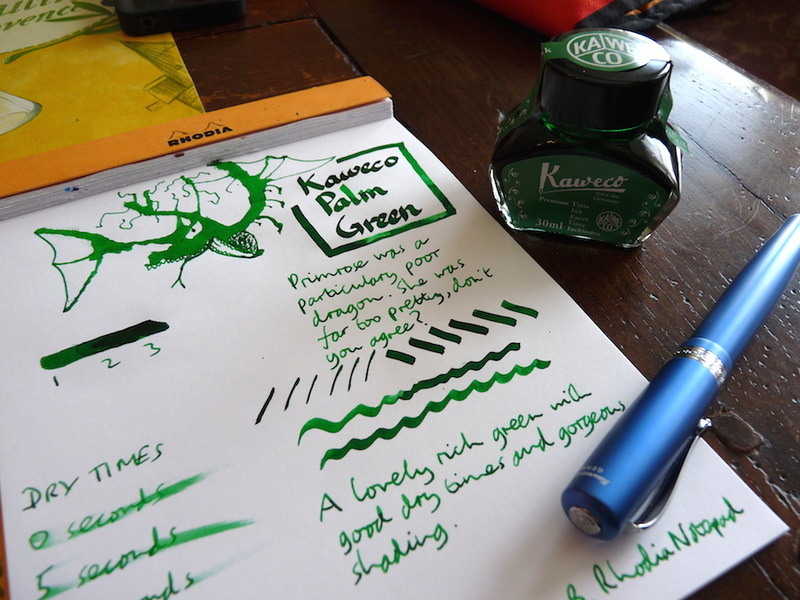 Many thanks to Kaweco for sending me this ink. I’ve tried not to let their generosity influence my judgement. I love this ink! I wasn’t expecting much and then I used it and was smitten!! I know what you mean, it was a lovely surprise to me too! Hey this ink is surprisingly good looking. I’ve always overlooked Kaweco inks but they actually have some good ones.